We picked up our friend Sara in Halifax and made our way down the South Shore to the beautiful seaside town of Lunenburg. This ended up being the last stop of our 6-week tour of Nova Scotia. 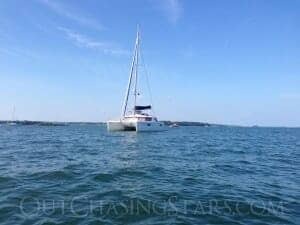 The next morning we up anchored and headed to Lunenburg. We had a lovely sail and spent some time wing on wing. Harbor porpoises (very tiny cute little things!) and seals were spotted, and as we were approaching Lunenburg we passed Bluenose II going the opposite direction with sails out, although she was reefed and only doing 3 knots! 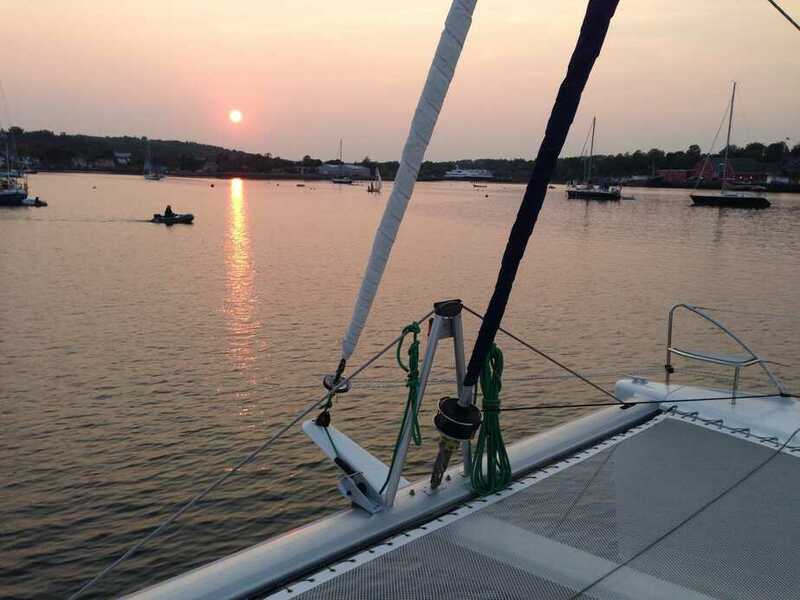 We anchored just east of all the moorings, with easy access to the Zwicker & Co dinghy dock. 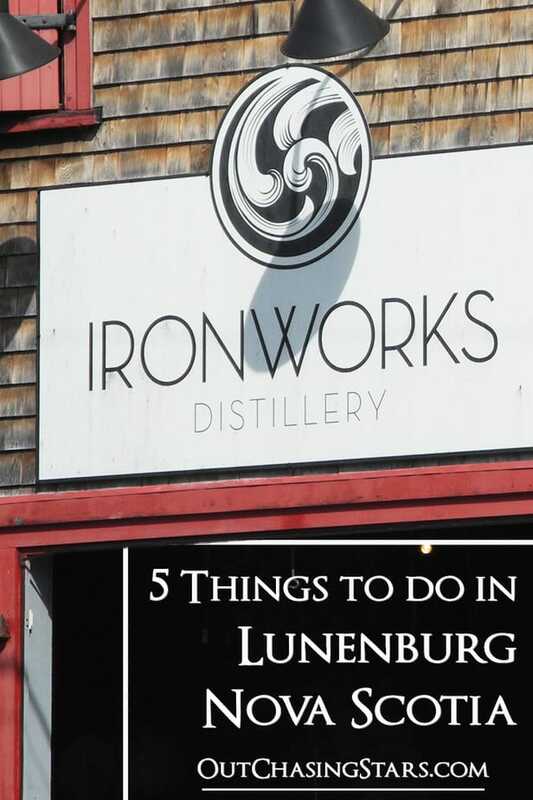 Lunenburg is the second biggest city we’ve been to in Nova Scotia, with a population of around 2,300. 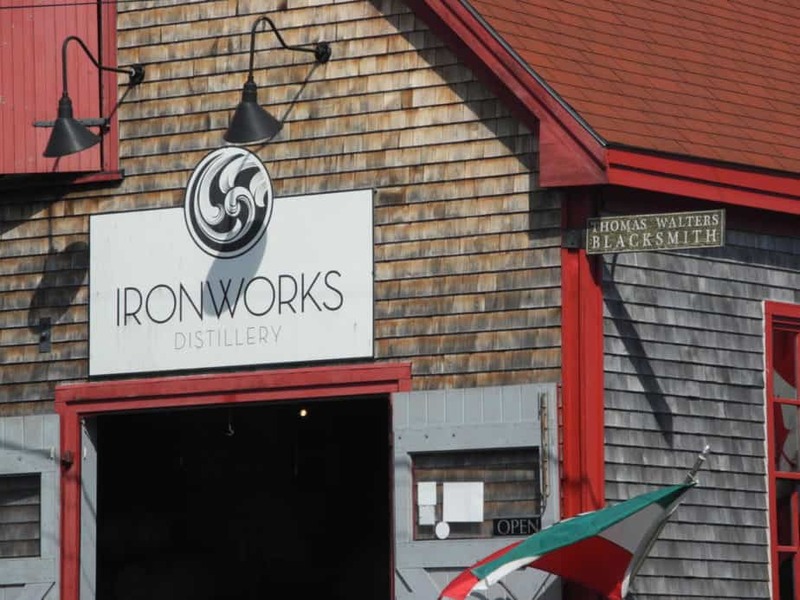 We had important first plans – a tour of the Ironworks Distillery. We ended up being the only ones on the tour, and it was really interesting. 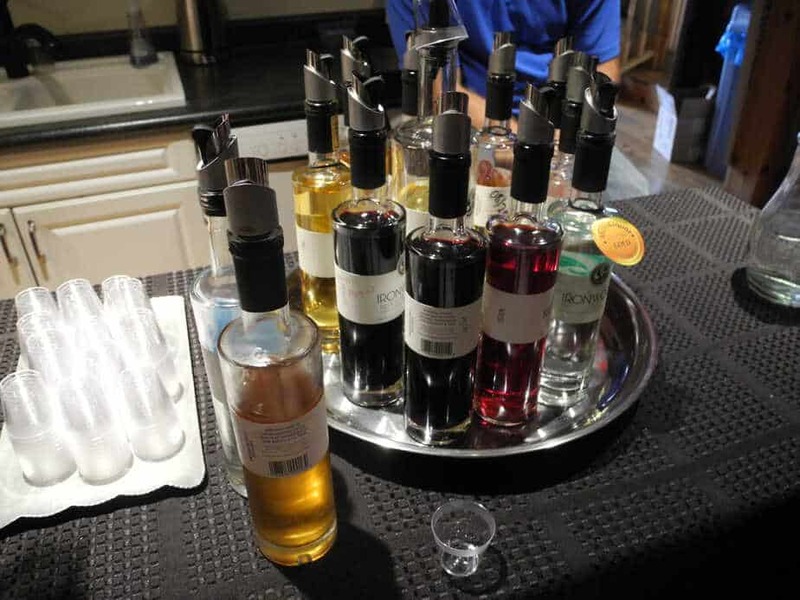 They are a small batch distillery and have won a plethora of awards for their products. The tour included the fermenting room, the aging room, the still, and a tasting. We were also given gifts of Ironworks shot glasses. Our tour guide was knowledgeable about the whole process and answered all of our questions. Sara could not decide on one place for dinner so we went to three! We had appetizers at Grand Banker, dinner at Rumrunner, and dessert at Salt Shaker Deli. All were very good, but the desserts were, of course, our favorites. 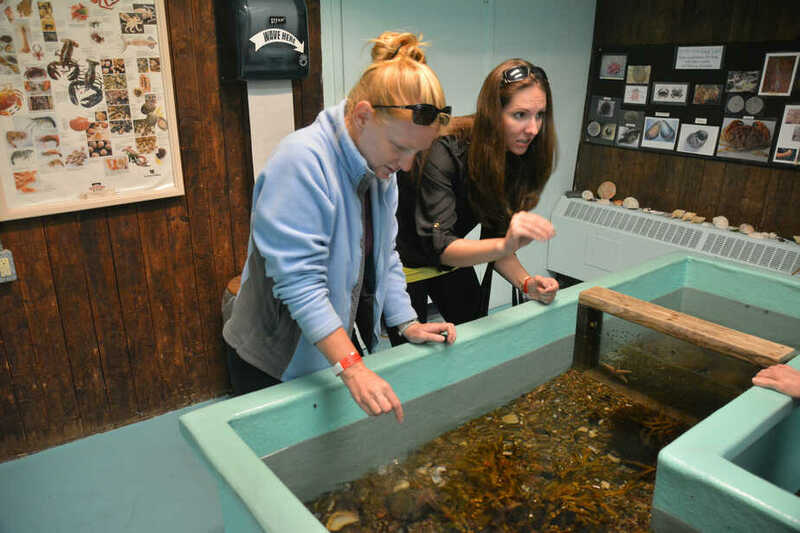 The next morning we went ashore to check out the Fisheries Museum of the Atlantic. We didn’t make it through as much as we had hoped – it was a big museum! The aquarium exhibit was very interesting and included a blue lobster and a touch tank. 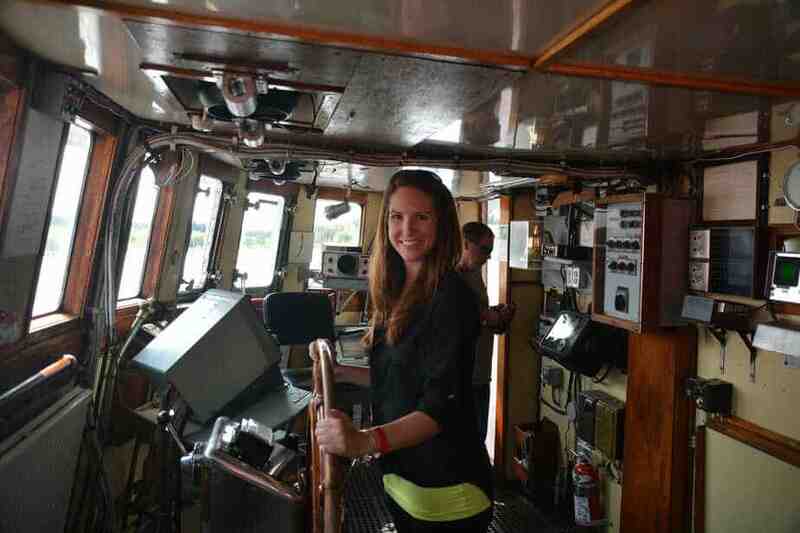 We also went aboard the Theresa E Connor and Cape Sable fishing vessels. For lunch, we made sure Sara got a lobster roll at Savvy Sailor, and then ice cream in freshly made waffle cones at Sweet Treasurers Confectionery. Sara is doing her best lobster impression. For one final stop before taking off from Canada, Tina and I went to the Lunenburg Farmer’s Market, where I picked up some veggies and wine. 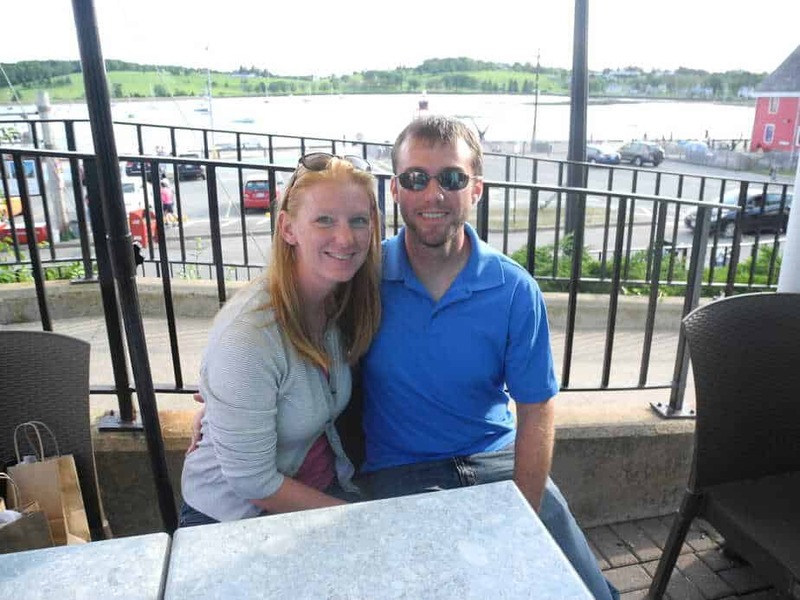 The Lunenburg Farmer’s Market is year-round on Thursdays and has an amazing variety of goods and foods. Nova Scotia has amazing farmer’s markets! A beautiful memorial to “those who have gone down to the sea in ships and who have never returned”. 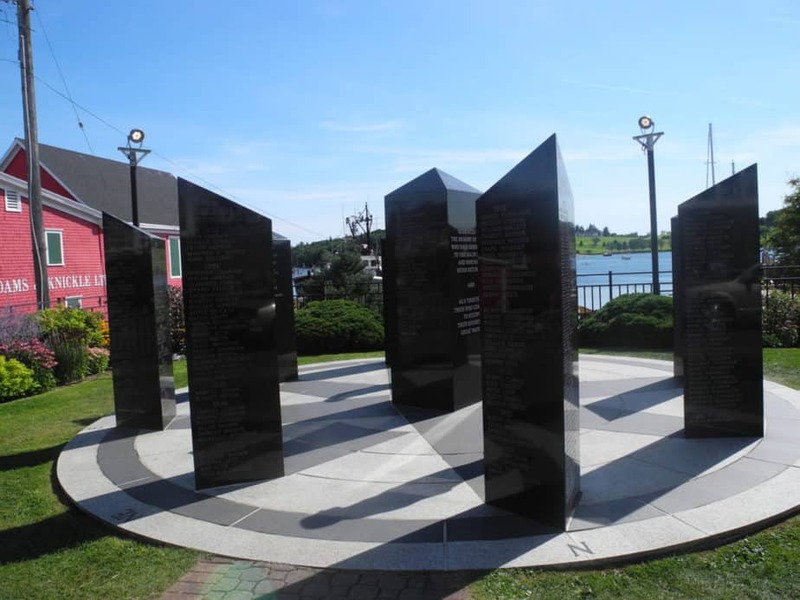 Since Lunenburg’s history is so intertwined with the sea, it’s worth the short stop to see the beautiful memorial and read some of the names. As we went back to Starry Horizons from shore, I heard my name being called from a boat next door. 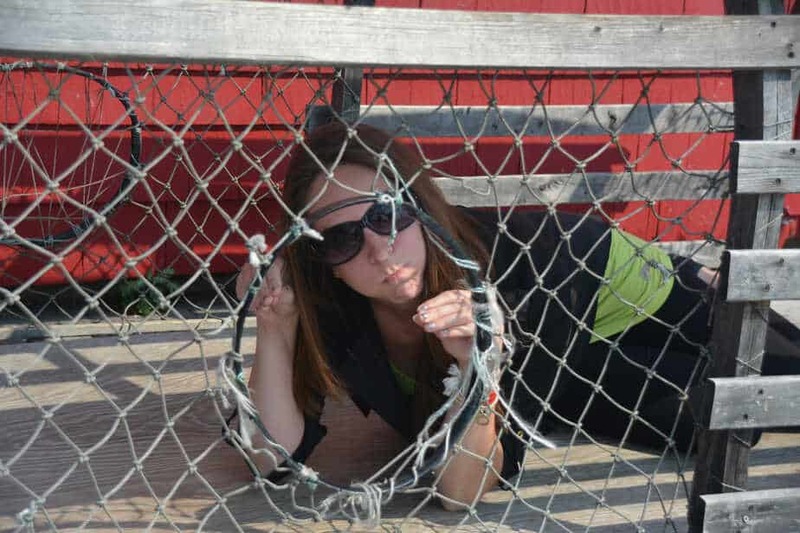 It was Tina of Sailing Life 4 2. 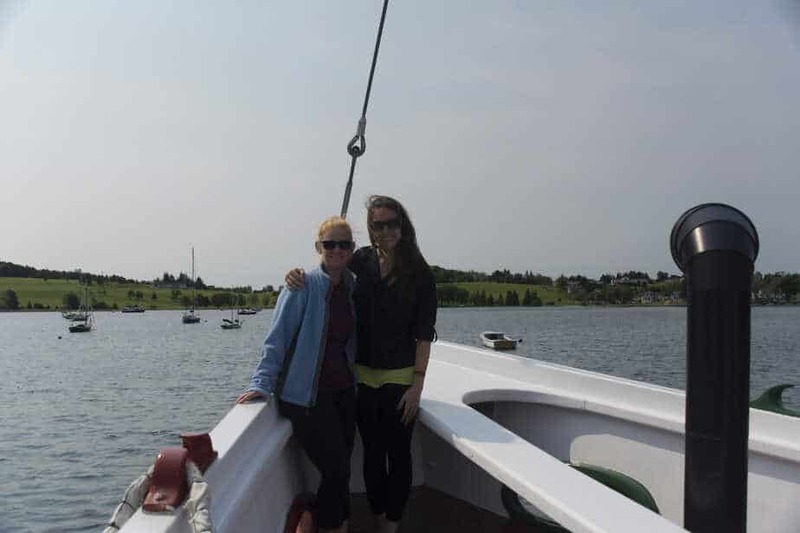 Tina and I had connected through Women Who Sail, and while we were in the Bras d’Or Lakes at the same time, we were never in the same place. We popped over to Mur Dina and chatted with Tina and Steve, and their cat Jigger. Then it was time to say goodbye to Sara. Tina and Steve very generously lent us their car so I could drive Sara to the Halifax airport – otherwise, the only option would be rent a car or taxi – about $130 CAD! 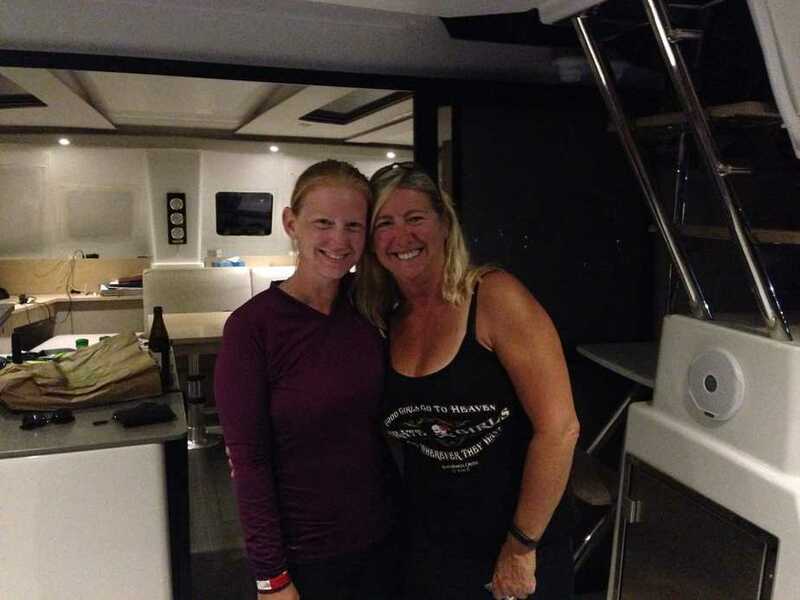 Sara was a wonderful guest aboard. She taught us two new games – Rummy and Contact. She enjoyed time lounging in the sun, and she was so excited about everything! She’s looking forward to joining us again – Panama ’16! As we were leaving the dock, Jamie Morrison came over and introduced himself. He said he has been reading our blog! It’s always exciting to meet someone in person. 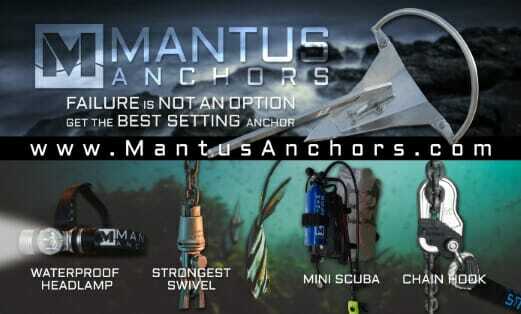 Jamie does fantastic marine photography. To thank Tina and Steve for their hospitality we had them over for dinner to grill and watch the “Hump Cup” – the local Wednesday night “race”, where everyone is certainly a winner. Now, David and I are wrapping up and getting ready to leave Canada! We would like to stay longer to explore more of the South Shore, venture inland to places like Annapolis Royal, or cruise the Bay of Fundy. However, we have a weather window to get over to Portland, ME, so our time in Canada has come to an end. This past week in Nova Scotia, between sailing down the coast from Halifax and our time in Lunenburg, has been the best. Thank you so much to everyone who is mentioned in these posts who’s helped make our visit amazing. The Bras d’Or lakes were beautiful but very quiet. The past week has been surrounded by friends! Happy to read you enjoyed Nova Scotia. 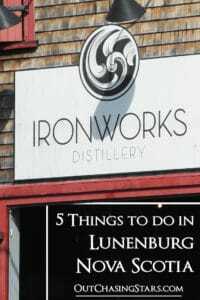 My parents are from a small village just outside of Lunenburg. 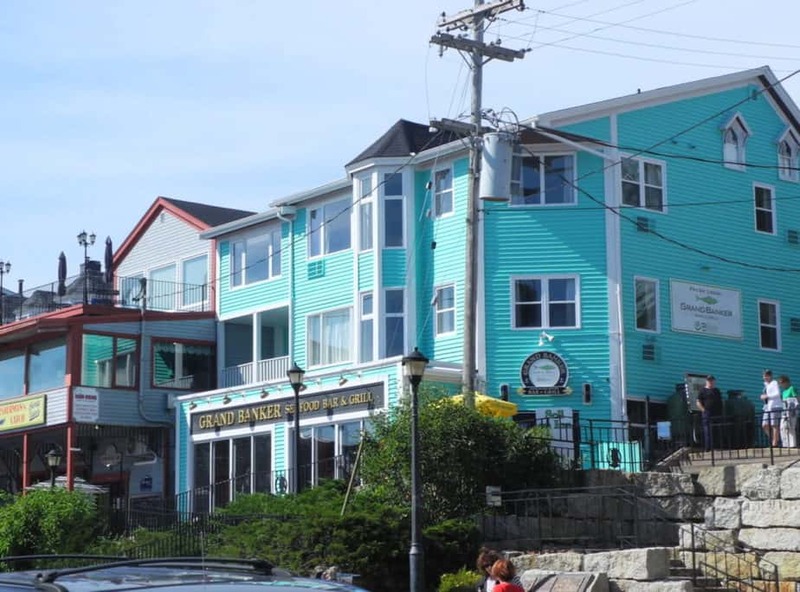 I grew up in Halifax but spent a lot of time on the South Shore over the years. Now I live in Annapolis Royal. The Annapolis Basin is fed by the Bay of Fundy and we experience a lot of high tides here.